Don't forget to register me! Oh hi there! 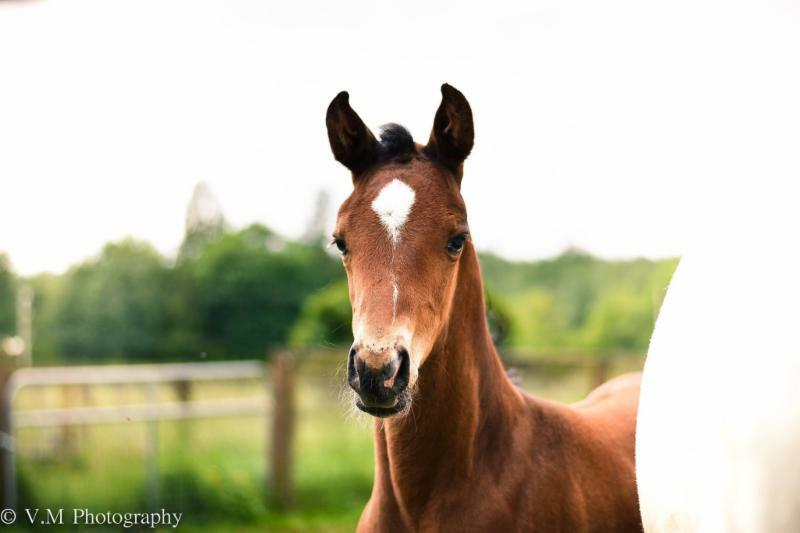 As a reminder to breeders, don't forget to get your foal registrations in NOW! Did you know that DNA testing, microchipping, & a USEF lifetime recording ARE ALL INCLUDED with each foal's KWPN-NA registration? It's a great value! But if you don't get it done by December 31st, it could cost you a LOT more - just a USEF horse recording can be as much as $300! Yikes - send in that paperwork TODAY! Read the awards criteria & submit your nominations HERE! Awards will be presented at the 2019 Annual Meeting. Nominations are due by December 1st! Exciting news for North American breeders as a new harness-type stallion was licensed in the U.S. during the 2018 KWPN-NA Keuring tour! Congratulations to Intign (Waterman x Patijn), bred by Wim Cazemier and owned by Amos R.S. Schwartz of Country View Stables. Learn more about Intign here! 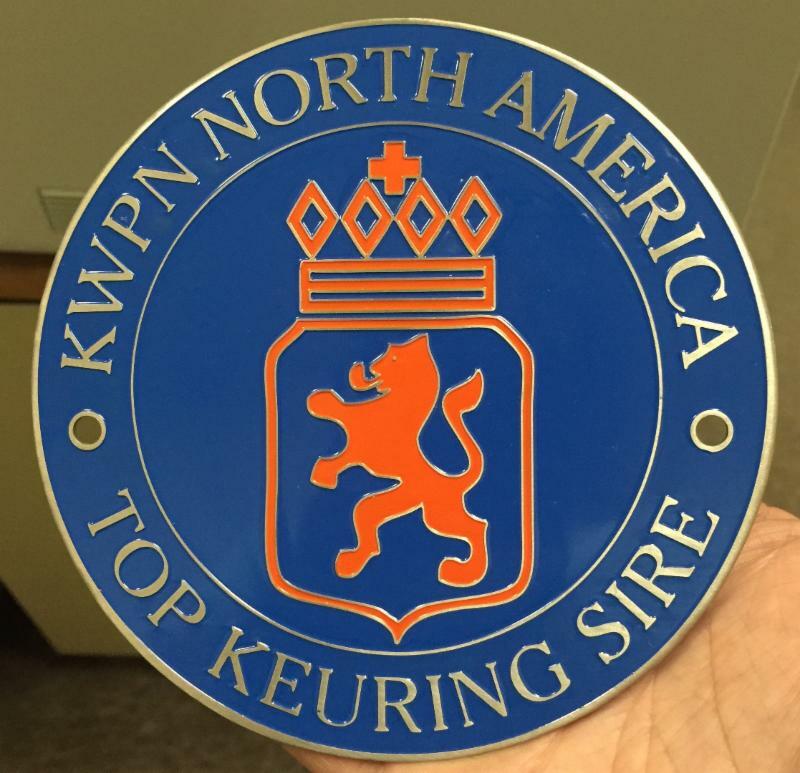 The KWPN-NA is now awarding beautiful medallions to any mare/stallion/gelding who has achieved the Preferent, Prestatie or Crown predicates in the last 30 years. 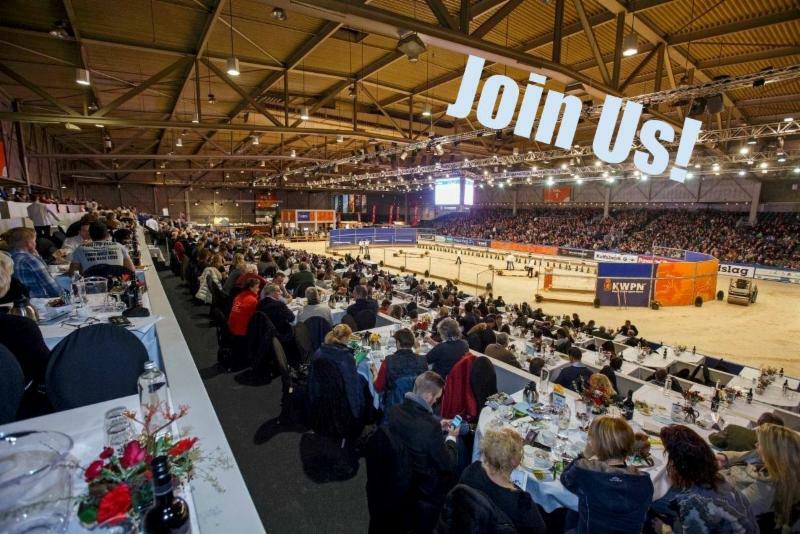 Have you have always wanted to go to the KWPN Stallion Show but thought it was too expensive, you don't speak Dutch, or didn’t have anyone to go with? We have the solution! Join us at the 2019 KWPN-NA Annual Meeting in Holland, January 27-February 3, and have a good time, catch up with old friends, make new friends, see lots of fabulous horses! LEARN MORE ABOUT THE ANNUAL MEETING HERE! There's definitely a chill in the air, so how about getting warmed up with a cozy KWPN-NA hoodie or fleece jacket? Or get a head start on holiday shopping for your favorite equestrian! We've got some awesome items now available at the KWPN-NA Marketplace - and a 20% discount until Dec. 5th by using promo code KWPN20 at checkout! 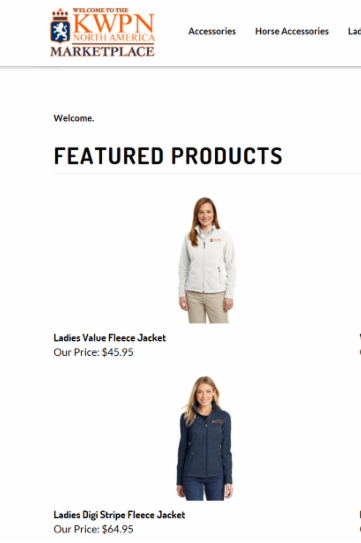 Shop the KWPN-NA Marketplace now! KWPN-NA: Tell us a little about yourself and your farm. Wim: This was our second summer at Wim Cazemier Equine Center, which is on 38 acres in Spencerville, Ind. where I live with my wife Marjan and son Koen. We have two grown daughters still living in The Netherlands. On average we have about 25 horses on the farm, but this summer we actually leased another nearby facility to house all the extra horses we had in training for KWPN and Friesian keurings. KWPN-NA: Tell us about your stallions. Wim: Last year we stood four stallions, three of which were KWPN and Dutch Harness stallions, including Jaleet, 2017 KWPN-NA Champion, and Colonist, two-time KWPN-NA Champion and champion sire. We also had the young dressage stallion Gaudi, by Totilas for the season. 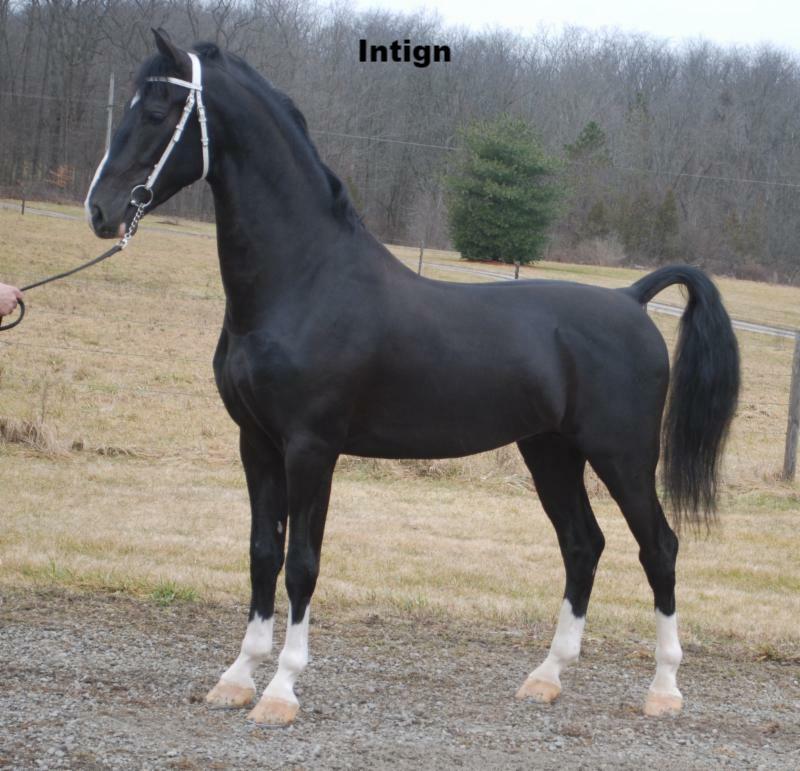 Our newly-licensed stallion is Intign by Waterman. I actually bought his grandmother as a two-year-old in The Netherlands, and I raised two foals out of her (both by Patijn) and sold them. But then I bought one of them back later as a four-year-old, and bred her to Waterman, who has been gone for about 15 years. The result was Intign. I might be the first person to cross a really modern mare with an old foundation stallion. When we left Holland we sold most of our breeding stock, but we still have a few horses there including the KWPN-approved stallions Atleet by Patijn and homebred Indiana (Colonist x Wieke Keur 92.5 IBOP!) as well as another homebred in Kentucky (Eebert x Gwendoline ster/Prok) who was champion at the stallion keuring this year in The Netherlands. He’s going to be a very good horse for the future, and has exceptional talent. He needs a little more time to mature before going through the stallion testing, but we’re happy to wait and do what’s right for the horse. 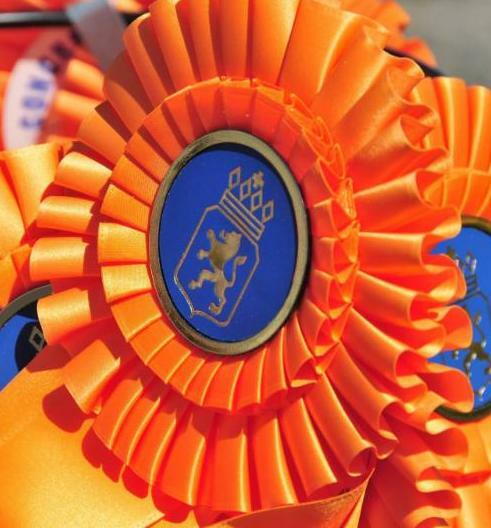 KWPN-NA: Do you get a chance to compete, or do you primarily focus on breeding and training? 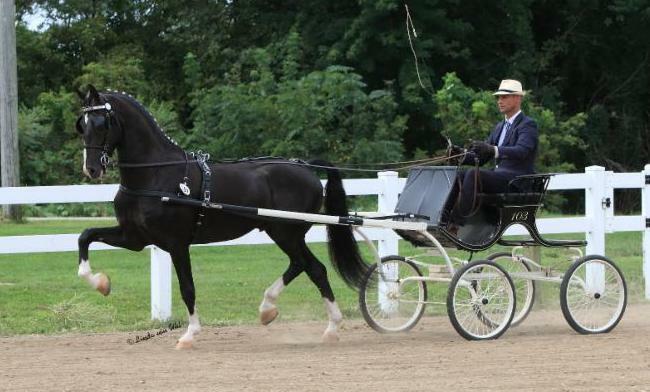 Wim: I try to get out there and compete as I’d like to get more exposure for the Dutch breed, and since I’m a member of the Dutch Harness Horse Committee at the KWPN-NA, we’re still talking about how to do that. 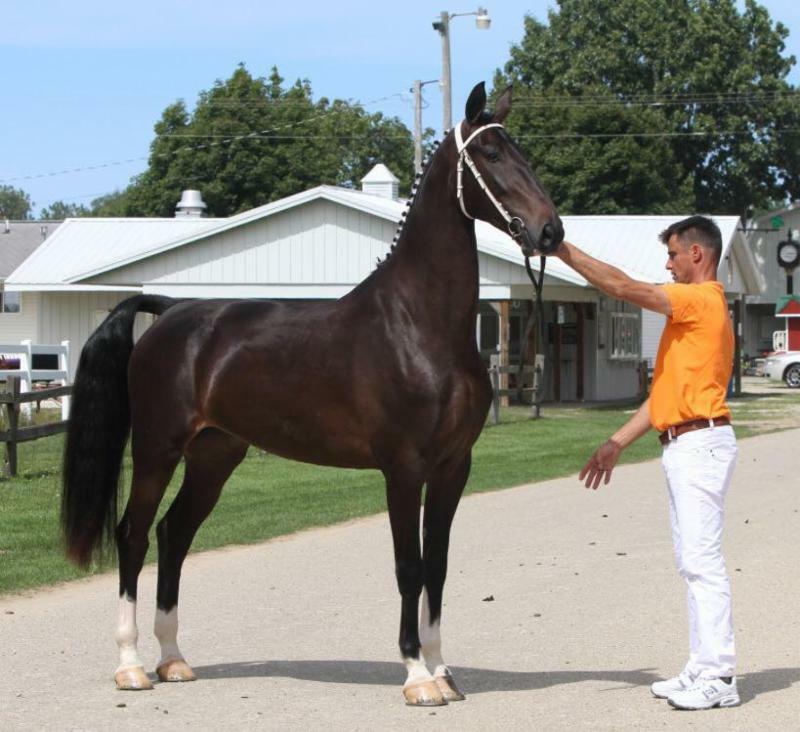 This year we had a very busy summer as I was co-host of the KWPN-NA Harness Horse keuring in Goshen, Ind., and we also had a lot of Friesians at our place, so from July to the middle of October we didn’t have time for much besides keuring prep. It’s great to see the KWPN harness horse numbers growing, and see the interest. 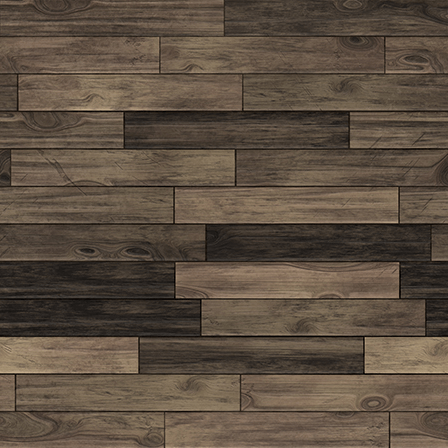 We now have two very popular keurings, which are getting more and more attention. It’s not just about fine harness either. There’s a lot of crossover into combined driving, where the Dutch horses really dominate – just look at the results from the World Equestrian Games this year. Of the 95 competing horses in combined driving, 45 were registered KWPN Dutch Harness Horses! 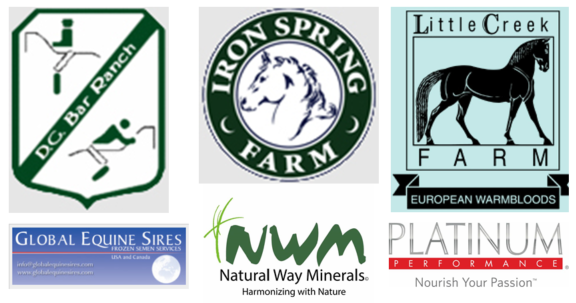 KWPN-NA: What are some of your most recent or notable accomplishments as a breeder, or things you are most proud of? 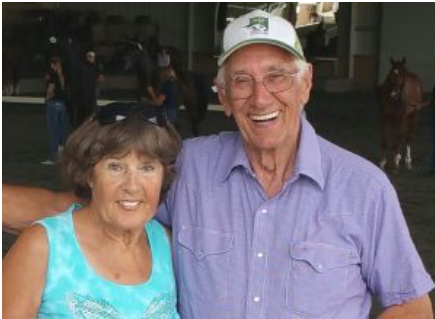 Wim: I’m really just starting as a breeder, but about 14 years ago I started investing in broodmares. I’m always very hard on my own stock and hold a very high standard for myself – I’m very picky. They have to be very, very good, otherwise I’m not going to use them. But as a result, in a short time we have raised four approved stallions in just seven years: two in The Netherlands including Colonist and Indiana (both champions), and now also Jaleet and Intign here in the U.S. So yeah, I’m kind of satisfied but also remain critical because as a breeder you have to keep looking forward to the future. I remember how I bought Colonist’s dam as a baby when she was eight days old. After standing two breeding in The Netherlands, I sold Colonist five years ago to the USA, and he did very well here! But his offspring also had some very good results in The Netherlands and breeders were asking for him, so he just went back this summer. If a stallion can prove himself on his offspring on both sides of the ocean, that gives you a very good feeling. KWPN-NA: What is your secret to success in breeding, and some of your favorite things about it? Wim: When your stock does well, it showcases how investments from a decade ago pay off today, and validates the choices that you made. Of course it makes you feel good! There’s always competition out there and it pushes you to be better and better as a breeder. That’s why I love to go to the keurings: to see what’s out there, and see how everyone’s working to make the breed better. I’m so excited about my young stallion Indiana, who is a son of Colonist out of a Manno mare. 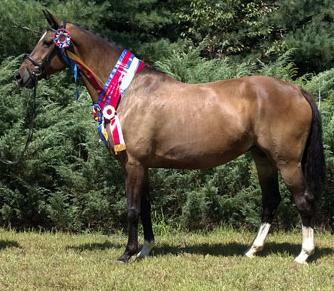 As a three-year-old, she was the highest-scoring mare in the IBOP ever and a three-time keuring champion. So that’s a great way to start, but the breeding game isn’t a sure thing, and there are no guarantees. You may have a champion mare, but I think it’s even harder to then produce a champion colt out of that mare. So when it does happen, you can be proud and consider yourself a little bit lucky. KWPN-NA: How did you become involved with the KWPN breed? Wim: That’s my uncle’s fault. I grew up on a dairy farm in The Netherlands, but my uncle always had one or two broodmares that he kept at my parents’ farm. So that’s how it all started. When I was 12, my dad bought his first mare, and the rest is history. When I was a teenager, I worked for a breeder and we’d go to the shows with 10 or 12 horses every weekend. You learn a lot about driving and training, and develop your own eye for a good horse. I believe that you never stop learning – that’s why I enjoy talking to different trainers and knowledgeable horse people, because you pick up little pieces of advice and insight from all different sources and apply it to what you’re doing. Wim: It’s tough to choose, but I guess I could say that two of my favorites are Renovo and Manno. There are a lot of great harness horses, but those two were so successful both as stallions and show horses, and they did so much for the KWPN breed.